A company is only as good as it’s employees. At the end of the day, you bet on people, not strategies. Build on your ability to get and keep the right kind of people on board with a well-run HRMS Software. Zeta HRMS and payroll software provides you the best HRMS in UAE , Dubai facilities creating an ultimate human resource management experience. With a futuristic approach, Zeta delivers hr solutions that every company will need in a long-run, starting from Core HR facilities to performance appraisal tools and employee attrition analytics. Zeta is unarguably one of the best Arabic HRMS software in the market and can run both on your premises or on a hosted environment. Being a Cloud ( Web based ) application, Zeta enables collaborative human resource management even if you end up with different employee and HR records in different countries. 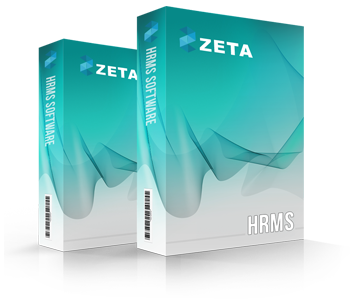 HRMS Software from Zeta Softwares is the Top HR software in Dubai, UAE, Middle East with best–in–class service and support, creating the Best and ultimate HRMS Software’s user experience. Our next–generation HRMS offers unmatched breadth and depth of functionality to manage your workforce from applicant to retiree. The most comprehensive feature that can be found in ZETA HRMS is the core functionality. The payroll management software blends in with the attendance system and easily gets you through complex calculations and statutory compliance requirements. Zeta HR software also facilitates recruitment, training, appraisal and employee tracking, saving your buck on another recruitment software or tracking software. Zeta hr payroll software is also available in SaaS mode, enabling you to manage all data without the hassle of maintaining or upgrading any hardware, at an affordable subscription fee. We believe that the best human resource management software must be one which seamlessly integrates the entire hr systems and operations all while keeping the platform simple and easy to use. Zeta HRMS provides you the same with a cost-effective and easy to implement system. Zeta HRMS is supported by a dedicated team of professionals who will assist you with the successful implementation, training and after sales service and support. Now simplify your hr processes, get rid of inaccuracies and maximise your employee engagement with Zeta HRMS.